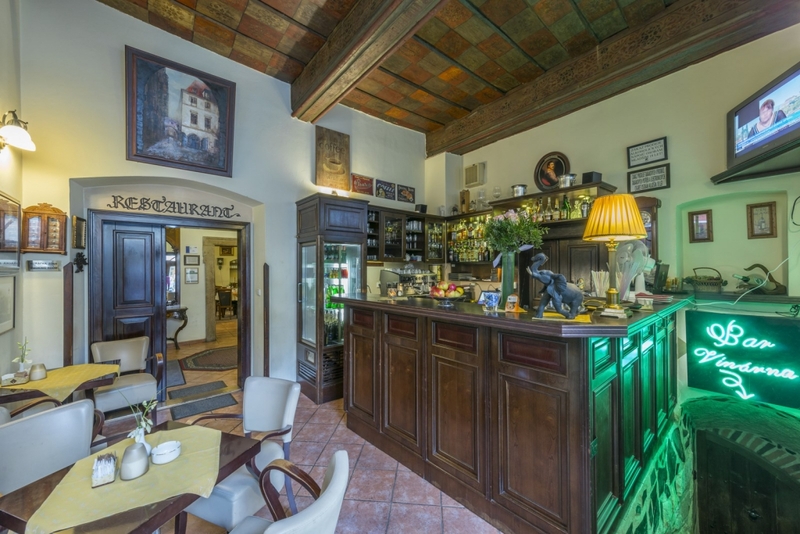 Restaurant on the ground floor of our hotel is just a few steps from the Old Town Square. which is right in the restaurant, witnessed visits of many celebrities and became popular place of President Václav Havel. 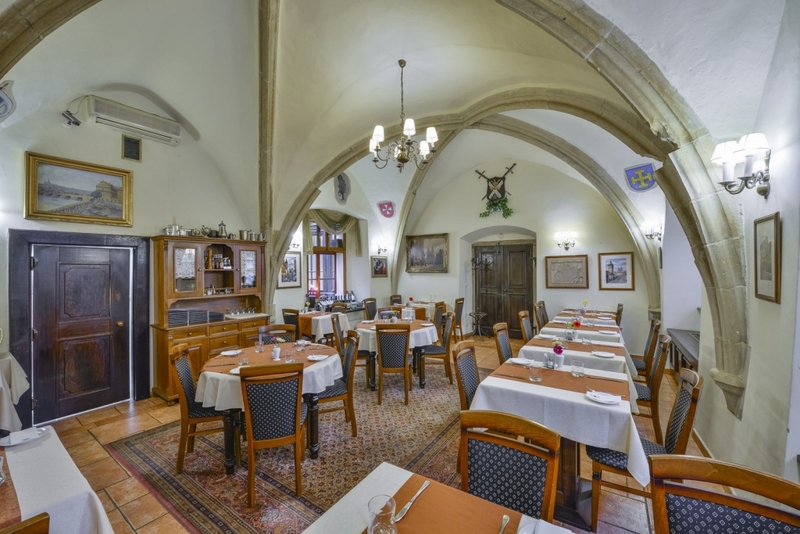 Old Czech delicacies such as “Old Prague Bastion” (smoked pork roast, roast pork, duck, roast sausage, two kinds of cabbage, bread, potato and bacon dumplings) or Old Czech-style roasted duck (mixed cabbage, homemade dumplings). In our Old Town restaurant we also offer wide choice of grilled specialities made from sirloin, fishes, poultry, venison. We offer wide choice of salads, pasta, vegetarian meals and homemade desserts. Lovers of good wine do not have to move into our hotel wine cellar. 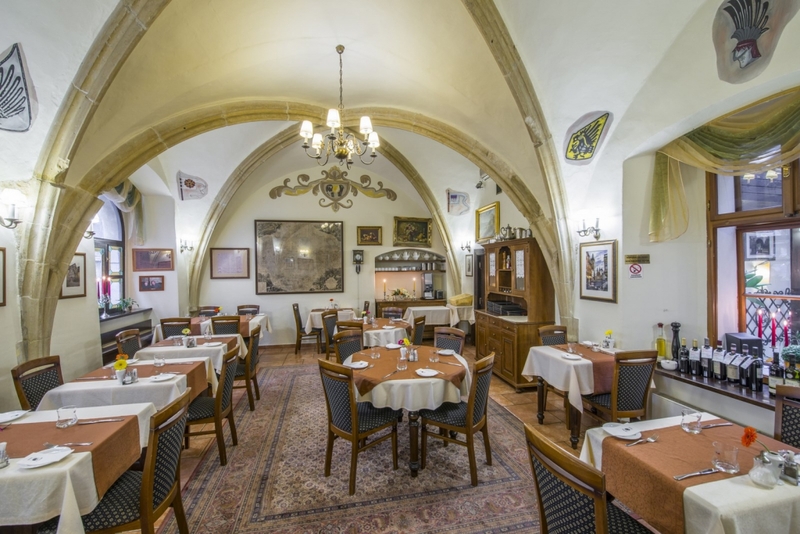 They can enjoy rich selection of French, Spanish, Italian and Moravian wines right in the restaurant! For connoisseurs of beer is always available well-chilled Pilsner Urquell. 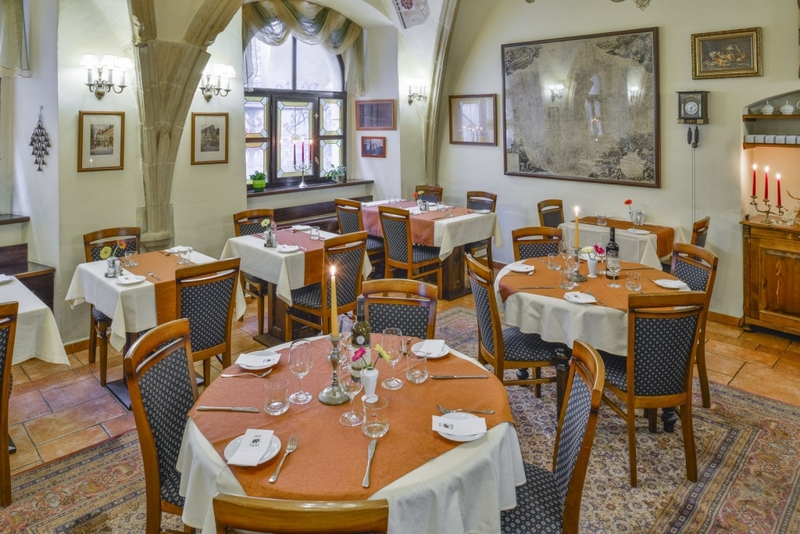 Our restaurant in Prague 1 district has affordable prices that won´t spoil the gourmet experience or a mere stop. Tribute hotel Cerny Slon with your visit – we are available daily from 11 am until 11 pm. Very happy to welcome you in our family hotel in the company of small groups of foreign tourists. Our professional privilege is a quality service with an emphasis on the freshness of the ingredients / food.